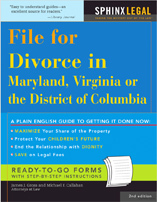 Here’s a divorce case to illustrate marriage annulment in Maryland. Arthur Hall met Patricia in 1966. They were both separated and in the process of divorcing their respective spouses. Patricia was divorced in 1967 and in 1968 Arthur received a copy of a divorce decree from his attorney. Arthur and Patricia married in 1970. But there was a glitch with Arthur’s divorce from Helen and, in 1973, he learned that it had been invalidated. In 1974, Arthur and Patricia separated. He filed for an annulment stating the marriage was void from the beginning since he was married to his first wife at the time of the marriage to his second wife. Patricia counterclaimed for divorce. The Court had the power to either annul the marriage or dissolve it by divorce. Guess which one it chose.